Tuning an engine for maximum power previously required long trial-and-error sessions on a dynamometer. 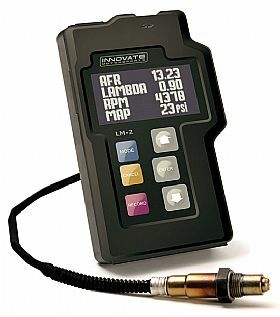 With the LM-2, precise AFR measurement allows the user to correctly adjust many variables- including carburetor jetting, fuel injection, turbo fuel curves, etc.- without long and expensive dyno sessions. The meter�s digital signal processing technology provides data on exactly how rich or lean an engine is running at any load. The LM-2�s self-calibrating circuitry also compensates for changes in temperature, altitude, and sensor condition.